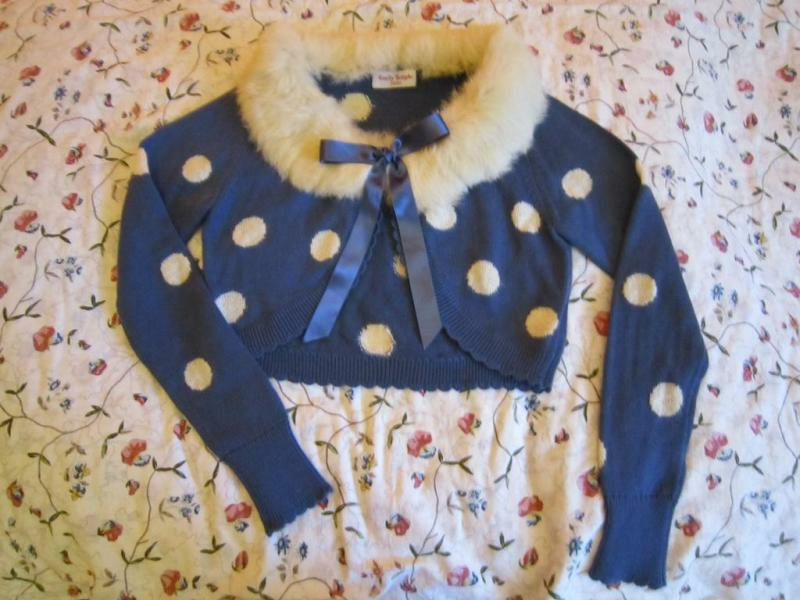 Emily Temple Cute fur trimmed bolero in blue x white. My EGL Feedback link hasn’t been verified by Lace Market yet, but you can view my LJ profile here (http://living-revision.livejournal.com/profile) to confirm that my feedback page (http://eglfeedback.livejournal.com/273114.html) belongs to me. I purchased this bolero new with tags from Yahoo Japan auctions via a shopping service. My shopping service removed the tags before she shipped me the bolero. I never wore the bolero myself, and it is in NWT condition with no flaws that I can detect. The bolero is very warm, and closes at the front with a button. 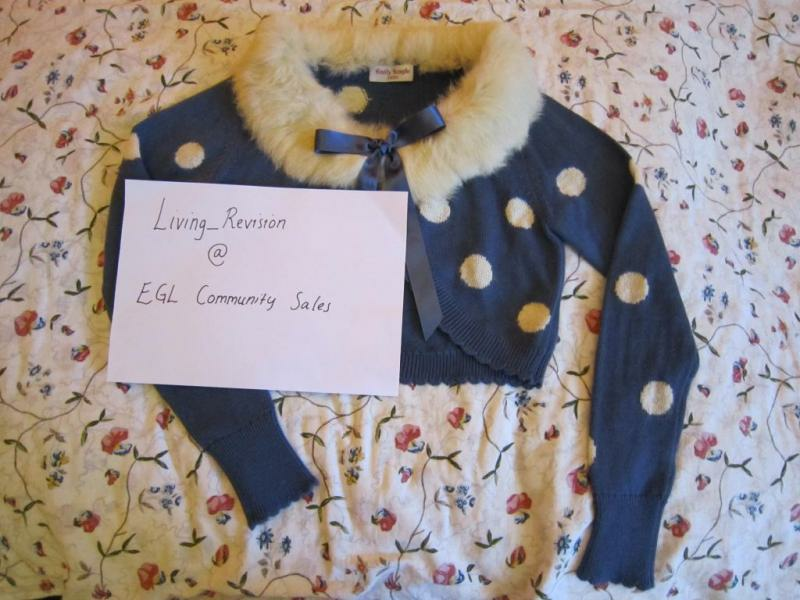 The fur collar ties at the front with a ribbon, and is detachable with buttons. Please note that the collar is real fur. My measurements put the bust measurement for the bolero at a maximum of approximately 95cm. Please note that this is an amateur flat measurement and allow a margin for error. 1. Payment from CC PayPal and PayPal balance is preferred. I will consider payment via e-cheque on an individual basis. 2. Shipping is calculated on an individual basis. Please message me if you'd like a quote. 3. Pick-up is available if you live in Melbourne. 4. Items are cleaned prior to sending out and come from a smoke free and pet free home. 5. Items are shipped within 48 hours after payment clears whenever possible. I will notify buyers of shipment within 24 hours of sending out, and provide proof of shipment. 6. I am not responsible for items once they have left my hands/lost packages/postal loss.